I’ve been looking forward to the authorized Steve Jobs biography (simply titled Steve Jobs) by Walter Isaacson ever since it was first announced. And late last night I got my hands on it, along with a wealth of other Jobs related material to enjoy via a number of the devices he ws instrumental in creating. After watching Game 4 of the World Series I first grabbed the 60 Minutes for iPad app ($4.99 here on the App Store) because I’d forgotten to tune in or record their show last night with lengthy interviews of Isaacson, discussing the biography and Jobs himself at length. The app let me watch those and I viewed them on the big TV screen via AirPlay. Then I saw that Apple had released their video footage – 80 minutes worth! 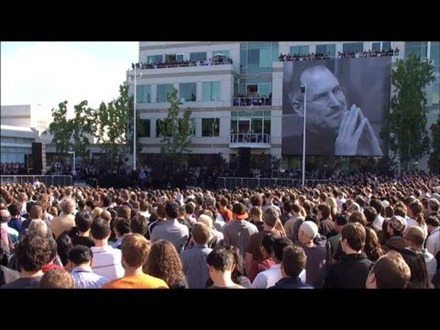 – of the Apple memorial event for Steve Jobs held on October 19th at the Apple campus. 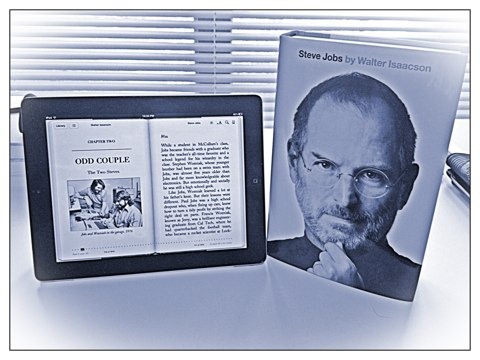 By that time the iBooks version of the Jobs bio was released and ready for me to read on the iPad, which of course seems the most fitting place to read it. So I streamed the memorial event via AirPlay from my iPhone 4S to the TV screen while I started reading the bio in iBooks on the iPad. Along with all these digital resources, I knew I wanted to be sure to get hold of a hard cover printed copy of the Steve Jobs book. So I arrived at my local Barnes and Noble store at just before 9:30 this morning – half expecting a line of some length waiting to buy the book on its release day, like I’ve been in for so many Apple product releases over recent years. There was no line at all though. I though the store opened at 9:30, but it turned out 10:00 was the opening time – so I sat in the car and read a bit more of the bio on my iPad while I waited. When the store opened I expected to see the Jobs bio featured heavily at the front of the store – perhaps it will be later today, but when I walked in it was nowhere to be seen. I asked for it at the Information desk and felt a little warm and fuzzy as the store staff member opened up a box and I bought the first copy of it. I’m only a few chapters into the biography but it’s already a gripping read. Though I plan to read the bio mostly on the iPad, I took some time this morning to browse through the photos in the hard cover book, taken by Diana Walker. She has had ‘special access to her friend Steve Jobs’ for nearly 30 years – and the photos are wonderful. I really like the fact that the biography paints a full and fair picture of Jobs – pointing out his genius but also covering his arrogance and the cruel side of him. He’s not seen to be a perfect man by any means, and that is how he and his wife both stressed to Isaacson that they wanted the book to be, and I’m sure it’s how the author wanted it as well. Anyway, I’m enjoying my private Steve Fest and will be digging into the bio more this evening. How about you guys and gals? 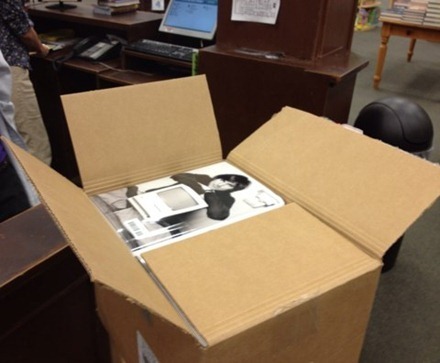 Have you bought the Jobs biography? If so, did you buy the printed book or the iBooks or Kindle version? *sigh* time to stop following this blog I think. A very nice article. Keep up the good work. I too missed recording the 60 minutes and almost bought the 60 mins app. After reading your experience, i might actually buy it. I am still waiting for my Hard-Copy Bio of Steve to arrive from amazon, i believe it is today afternoon. I don’t think i will be buying an electronic version, I like to have the hard copy in my hand (my souveneir) but then you never know. Love reading your blog every morning and evening.